***Please note: This listing is for 1 pendant. If you want additional pendants just add what you need to your cart. If I can solder it, you can wear it. This is a listing for a made to order piece. Send me your broken dish, vase or other piece that you want soldered and I will create a lovely wearable piece for you. 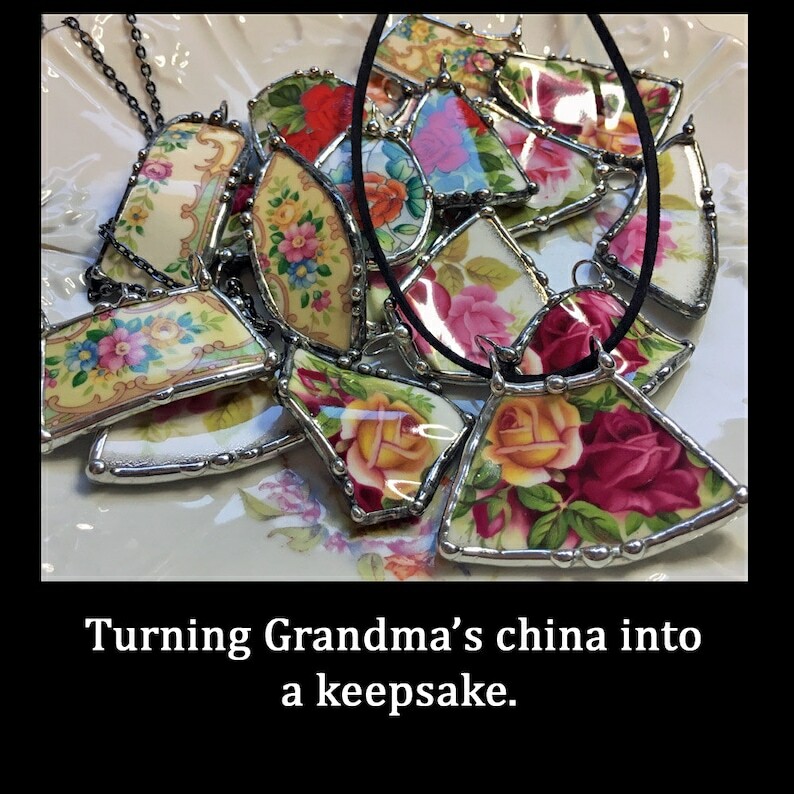 These make lovely family heirloom gifts. I offer 20% discount on 5 or more pieces ordered. The finished piece can vary in shape and size depending on what you sent but the amount of work and craftsmanship that go into each piece is the same. Let me know if you would like a specific size otherwise pendants will measure between 1 to 2" depending on shape. Your pendant will come polished and ready to wear with the cord included. I always send a soldered charm care card with each piece I create so you can keep it looking new for years. I'm always creating and adding new pieces so please stop back.